The cutest moment of Rishabh Pant’s hell-raising knock came just before the last ball of the penultimate over. 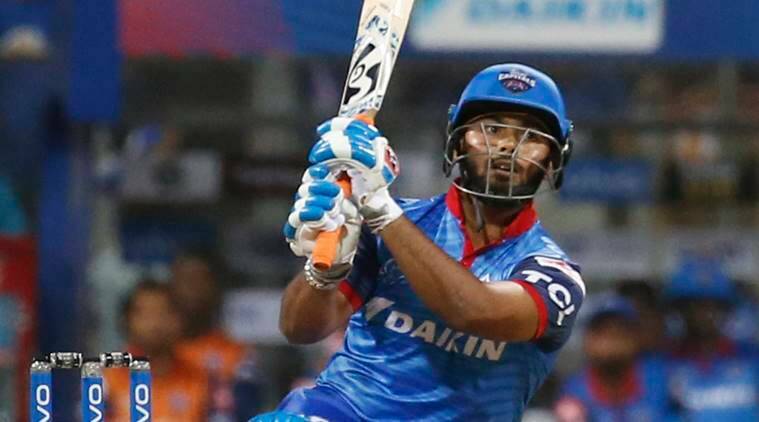 Even as Mumbai Indians captain Rohit Sharma and others in his team were scratching the heads, thinking of a way to stop the murderous run flow, Pant shadow-practised a leave. It was amusing and revealing of his personality. It wasn’t an all-out slog but a clear method in madness was visible. His 27-ball 78 that took Delhi Capitals to 213 for 6 was the innings that made the biggest impact of the night. There were many splendorous shots in the innings, but it would be best to mention couple of them here. One was so aptly commented by Dean Jones on air. It was Jasprit Bumrah with the ball, in the last over, going for a yorker. Jones screamed out just two words: “Missed and disappeared”. Bumrah missed his mark and Pant just wafted it up and over square-leg with a furious waft of the bat. The other was a back-of-the-hand slower one from Rasikh Salam. Pant adjusted by taking the bottom hand off the handle and just let the top hand, his right, cut an arc. The follow-through of the bat was quite something: it swished over his head and ended up in front of his face and the ball was thrown back from the upper tier beyond the long-on boundary. It also told of the poor plans of Mumbai Indians – no wonder Rohit was seen pointing fingers to his head, suggesting the bowlers to think. For some reason, they kept aiming for the leg- and middle stump, trying to tuck Pant up. A plan that would have made sense had Pant been a batsman more strong on the off-side – as it is, he prefers the violence on the leg side and they kept feeding him. And he merrily kept reeling some outrageously wristy hits. Pant stood still. and didn’t let his feet come in the way of the bat swing. He slightly opened his stance and at times, didn’t even press the front foot forward at all – just balancing the body weight on his feet and letting nothing come in the way of the murderous bat swing. It was like watching Saeed Anwar blasting Javagal Srinath in the mid-1990s – remember that twirl of the wrist and the bat that would send the ball from middle and leg over square-leg? At least, Anwar had to contend with Srinath angling the ball away from him. Pant didn’t have to face such odds. It was an incredible hitting. Pant stood still, let the ball come to him, let it land where it did, just made sure he didn’t move too much across and so didn’t have to work across his body. The wrists and the bat swing did all the work. Even Bumrah was guilty of following him. With the yorkers not landing, except for the very last ball when Bumrah damaged his left shoulder trying to stop the ball, most of the other deliveries were tailing in on leg-and-middle. Only the lengths varied and Pant repeatedly dismissed them to the backward square-leg boundary. Only rookie fast bowler Salam bowled a couple of deliveries outside off-stump in the penultimate over and Pant took two singles. But for the majority, Mumbai’s bowlers erred. Initially, they tried bowling short at him but the job was entrusted to the wrong bowler – Hardik Pandya can surprise a batsman with the odd bouncer but at his pace, he can’t pitch repeatedly short and Pant blasted him. Then they tried the full ball on middle and leg. Again the wrong choice. But they erred because Pant was piling on such huge pressure that it told on them. His knock neared almost perfection: in the sense, it’s easy in theory to describe what he did – the still head, the wrists and all that jazz, but to execute it under pressure, and against a world-class bowler like Bumrah takes something else altogether. It also leads one to wonder whether the act of ‘keeping makes him that much calmer and assured when he bats. When he isn’t playing as a ‘keeper, like he has done a few times for India in limited-overs matches, we haven’t seen the best of Pant the batsman. Perhaps it’s a confidence issue and the matter of handling the pressure of playing as a pure batsman. One stat caught his brutal impact: In last year’s IPL, among all batsman who faced more than 50 balls in the end overs, Pant had the highest strike rate – almost 250, easily towering over MS Dhoni and wait for it… even Andre Russell. Brief Scores: Delhi Capitals 213/6 in 20 overs (R Pant 78, C Ingram 47, S Dhawan 43; M McClenaghan 3/40) beat Mumbai Indians 176 in 19.2 overs (Y Singh K Rabada 23/2, I Sharma 34/2 ) by 37 runs.